The Philadelphia Flyers didn’t do much in free agency even though the team had a lot of cap space. 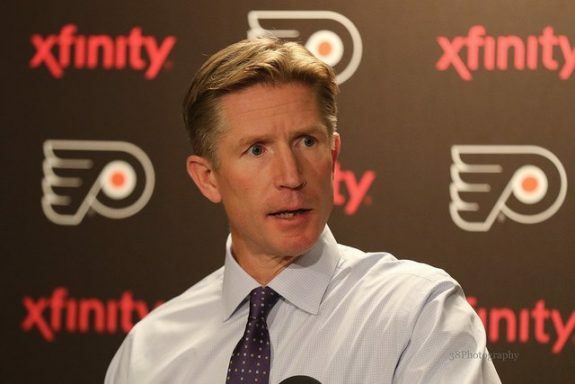 General manager Ron Hextall made two big moves in landing a top-six forward and a depth defenseman. Will these two moves get them into the playoffs and past the first round? 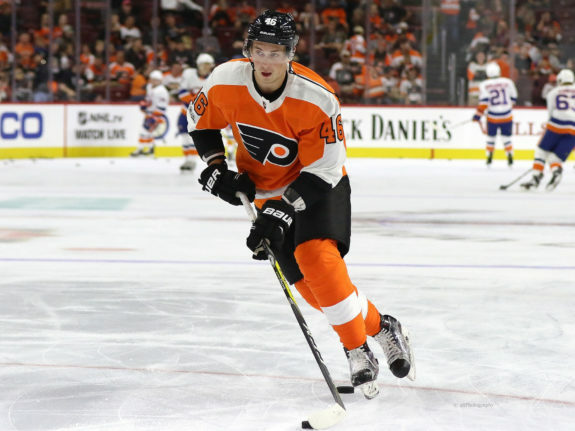 The Flyers got better in the offseason with the additions of James van Riemsdyk and Christan Folin. The team has this pattern of making the playoffs in even years and then missing them in odd years. Is this the year they break that pattern? There are two areas where the Flyers will need to improve in order to get back to the playoffs. The penalty kill was one of the worst in the league at 75.8%, which ranked 29th. The second area is the goaltending, which seems to be a concern almost every single year. The goalies will need to up their game and steal some wins for the team this year. The Flyers made a couple of front office changes, but they were mainly promotional within the organization. The first one was to promote Barry Hanrahan to vice president of the team. Hanrahan will keep his previous duties of managing the salary cap in addition to vice president duties. The other news that came out during the summer was that Dean Lombardi signed a three-year contract with the team. 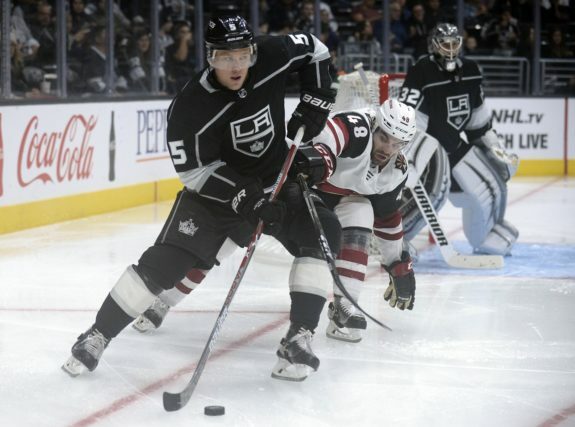 His official title is Senior Advisor to the General Manager, which is no surprise since he and Ron Hextall worked closely together while with the Los Angeles Kings a few years ago. Despite the fans wanting changes behind the bench, Hextall decided to give the current coaches another shot this year. Head coach Dave Hakstol made some head-scratching lineup moves last year, but he managed the team to its second playoff appearance in three years. The assistant coaches also remain behind the bench for another season despite the lackluster play of the special teams last season. 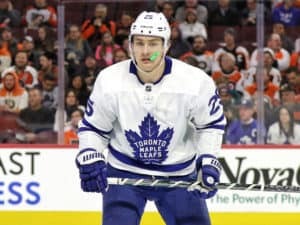 The team only lost one of its leaders in the offseason in Filppula, who wore the ‘A’ on his jersey last season, splitting time with Andrew MacDonald depending on if the team was playing at home or on the road. The only question here is if the players will vote for a third alternate captain like last season. The players don’t have to vote for another alternate captain as they already have two in Wayne Simmonds and Andrew MacDonald. The third alternate would likely split time with MacDonald taking over Filppula’s spot from a year ago. These are just projected lines and will likely change throughout the season depending on injury and matchups. Giroux will see some time taking faceoffs like he did last season and Jordan Weal could see some time on the wing along with Scott Laughton at center. The biggest change with the lines would be if prospect Mikhail Vorobyev made the roster to start the season. He is currently in a battle for the third center position with Jordan Weal. Vorobyev is having a strong preseason so far, but he needs to work on his faceoffs. 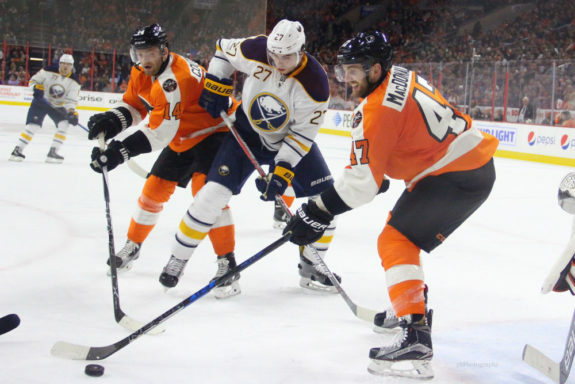 These defensive pairings will change once the Flyers get Andrew MacDonald back from injury. He is expected to miss at least the first week of the season, possibly two after suffering a lower-body injury while training. The defense will need to be better in their own zone this year if they want to get deeper into the playoffs. The guys on the blueline will have no problem chipping in on the offensive side of the puck since they can move the puck and join the rush. Christian Folin will be the depth defenseman this year for the Flyers. One of the biggest questions heading into the season is the play of the goalies. 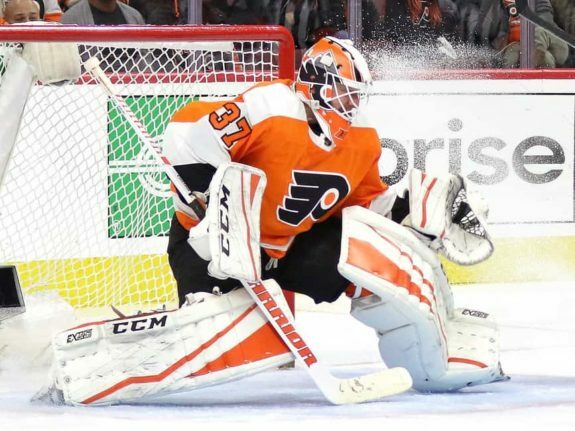 Brian Elliott and Michal Neuvirth are expected to be the goaltending duo again this year. They are both coming off of hip surgery and will need to have bounce-back seasons. The goalies were a weakness last year, giving up crucial goals when saves were needed. Elliott is the number one goalie to start the season, but if he slumps and Neuvirth gets hot then Hakstol could go with Neuvirth. Elliott will need to prove that he is good to go with a solid start to the year. I wouldn’t be surprised if time gets split evenly early in the season even if both goalies are playing decent, just to get them both comfortable in net coming off of injury. The offense shouldn’t have a problem putting the puck in the net since it is a more balanced lineup this year. The team will need to play better defense and keep the puck out of its own net. The young defensemen have another year under their belt and should be more familiar with the style of play in the NHL. The veterans need to be in a position to help the younger kids out. The defense will also need to play better at crucial stages of a game. 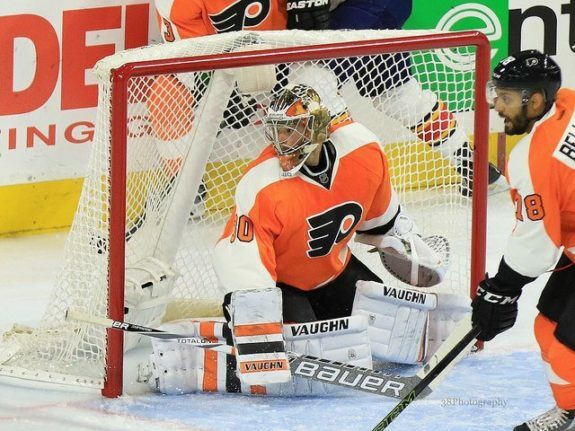 The Flyers season is going to rest on the play of the goaltenders. If they can manage to keep it together and play pretty well then the Flyers have a shot at making the playoffs. If things go south and the goalies aren’t playing that well then that could be the team’s season. The goalies will definitely need to up their game and stay healthy this year. 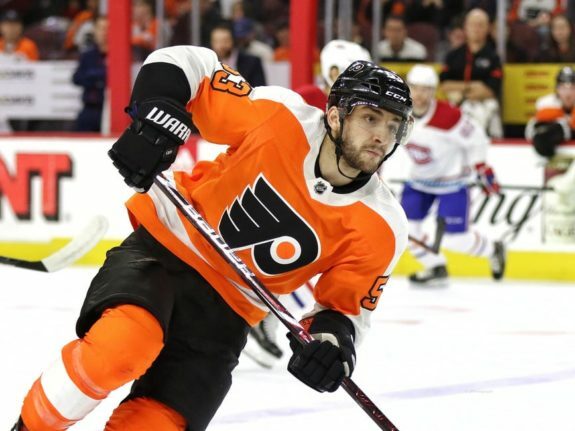 If everything comes together for the Flyers this year, which I believe will, then the Flyers will not only make the playoffs, but they will see the second round for the first time since the 2012 postseason.